It is undeniable that "Eating in mindfulness, living in awareness" is an infallible principle for a healthy lifestyle. It nourishes the body and mind, and gives us a happy life. Thanks to adopting a healthy eating lifestyle that is close to nature, Ly Ngoc Minh has successfully turned his dream of making a revolution in cooking into reality, a dream nurtured from the stove of his mother. Tan Khanh Village in Binh Duong Province, which neighbors Ho Chi Minh City, was a remote land more than 60 years ago. The one thing that made it different from other villages was 16 pottery kilns along the Tan Khanh Stream. They had to stand next to the stream so that pottery makers could easily get the water for their work. Thanks to that stream and the source of high-quality kaolin clay and firewood, ceramic production was born in Tan Khanh in the middle of the 18th century, after a Chinese trader happened to visit the place and discovered all these potentials. That trader then decided to bring his family to the village to start a new life, and more families followed suit. By the 1930s, Tan Khanh Village was home to more than 10 pottery workshops that produced a wide range of products from bowls, plates, cups, pots to flower pots, candlesticks, vases and statues. For decades since, workshops in Binh Duong Province have provided pottery for the entire southern region. Tan Khanh Village was the cradle of Binh Duong pottery. And it was in this village that an outstanding artisan was born and bred. During his childhood, Ly Ngoc Minh spent most of his after school hours at home, helping his parents with various jobs at the family’s pottery workshop. At 11, he was well acquainted with the kitchen and could cook for the whole family. That kitchen was actually a tiny one with mud walls and a tiled roof less than two square meters in area. “Three stones would make a stove. Firewood and a pot, and it became a kitchen,” Minh recalled. The very first dishes he could make for the family were simple ones like boiled vegetables and fried eggs. After every meal, Minh would come out of that little kitchen with soot on his face and hands. By 15, Minh was already a man in the family, having to look after three younger siblings and do most household chores to help his mother. His father, a kind man, passed away when Minh had just turned 7, leaving his mother with four kids and two pottery workshops to take care of. Although she was the owner of two workshops, life was hard and the burden of work and family lay heavily on her shoulders. Minh remembers his mother as a tall and thin woman. She always wore the short sleeved Chinese qipao, the traditional costume of Chinese women. Her long black hair was always bundled neatly at the back of her head, leaving space for her face to shine bright, impressing others with a large forehead and bright eyes. She was quick, quicker than anyone Minh had known. For a meal that took normal people about an hour to finish, she needed just half the time. And however good Minh got at cooking, there was nothing that could his mother’s tough. The food she cooked was always the best, never overcooked or undercooked. His mother was a very busy person, but she always put her mind and soul into the family. She kept a close eye on her kids’ studies, making sure that they went to school on time and finished all their homework. At every family meal, she asked her children have a bowl of soup as an appetizer and during the meal, she reminded them to focus on the food they put into their mouths, talk less and finish up their portions. The images of his mother in the old days are still vivid in his mind. She had no formal education, but she was a smart woman who handled the tasks at home and work very efficiently. She was inquisitive about everything around her and good at communicating with others. To this day, when Minh is already in his 60s, his mother is still an endless source of energy that gives him strength, each and every day. “I think I’m a lot like my mother,” he said. It’s a tradition, even an indispensable part of Vietnam’s culture that a family, however poor, always has a pot. The pot is not just the most basic asset but a cultural marker. To this day, Vietnamese people still tell each other the story of To Tich. He was young man, very poor, but very smart and studious. There was a year that the King organized a contest to find talented people. Tich did not want to miss that chance so he studied day and night. But because he was so poor and that he could not even afford three square meals a day, he would borrow the rice pot from his neighbors every time they just finished their daily meals so that he could get the rice that might still be left at the bottom. He always cleaned up the pot carefully before returning it. 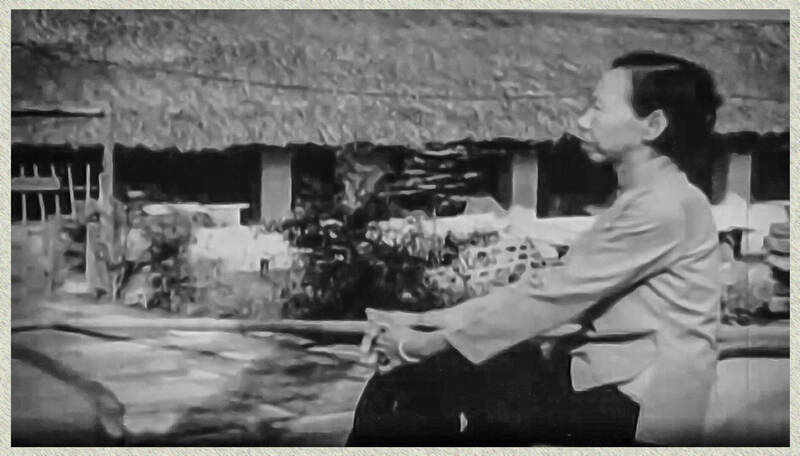 At Minh Long, stories like this are narrated often. The clay pot is one of the oldest things in the history of Vietnamese people. 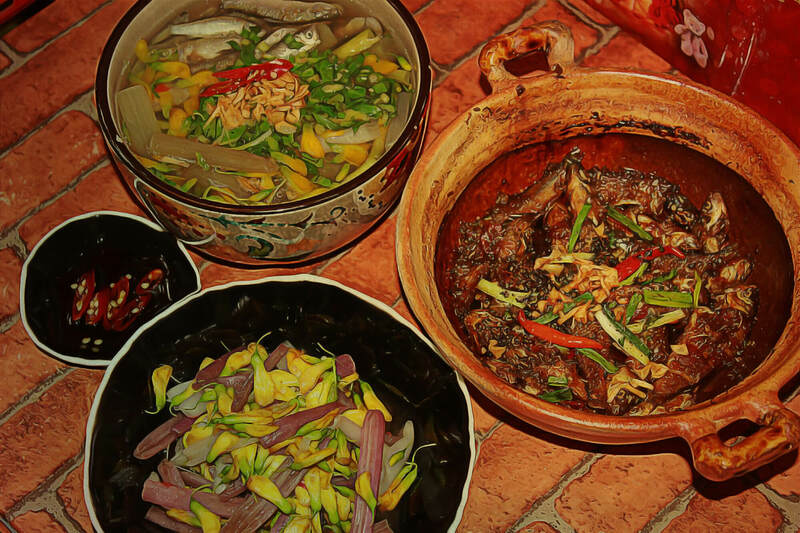 The most traditional dishes of Vietnam, like rice and fish/meat cooked with brine taste best when made in clay pots. Minh still remembers clearly the clay pots that his mother used to use. Those pots would make the perfect fish cooked with brine, but their biggest problem was that they broke easily. Minh cannot count how many pots he had broken when cooking meals for his family as a kid. The hard times when he had to cook and study at the same time turned out to be precious. “I learned how to adjust the fire and pay attention to the food I am cooking.” The fire should be strong to boil vegetables and weaker for fish cooked with brine. For rice, it had to be strong at first and weaker later. And if it was a wood-burning stove, the layer of scorched rice left after the fire died out was crunchy, fragrant and mouthwateringly delicious. “We must know the rules of the stove, which means we have to focus on what we do in the kitchen rather than just making it as quick as possible. It was those difficult days that had taught me how to understand the mood of the chefs, how much they want a good pot and produce good food,” Minh said. He’s never thought of his tough childhood as a disadvantage, Minh said. He always thanks those days that helped him nurture the greatest wish of a pottery lover, which is to create the best pottery product and give others good meals. Minh said he was not alone. There are many people who also carry clear memories of their childhood food throughout their life. "Its flavors, the way it is seasoned and shaped is a part of us,” he said. His mother was a fan of healthy food. She always preferred soup and boiled vegetables rather than deep-fried, stir-fried or overcooked dishes that would heat up the children’s bodies and damage their health. Minh recalls that her favorite dishes were pumpkin soup, papaya soup, pasta soup, spinach, boiled okra and cowpeas. It was from her that he got his first lessons about health and a macrobiotic diet. As a young man, Minh was fascinated by the story of a Chinese doctor, who summarized his healthy lifestyle in four things: keeping a happy mind, sleeping early, doing exercise frequently and eating properly. Through many years of self-repair, Minh made an adjustment to that approach, putting the element of eating right at the beginning. For him, only when people know how to eat properly, would they be healthy enough to go to bed early, exercise regularly and therefore, be happy. Today, science says the same thing. If the food you take in is not healthy, it will cause damage. In some cases, even when the food is clean and very costly, it can still be unhealthy if it is not cooked right. For example, corn is good for human health and boiled corn is very nutritious, but popcorn that is made at a high temperature of 160 Celsius degrees can cause cancer. “What we eat will turn into blood and raise our cells, creating our mind and soul. If what we take in is healthy, we will feel happy and peaceful. The biggest misery of life is sickness. Science has proven that human can live up to 125-200 years but because people have not followed the rule of nature so in most cases, they cannot make it over 80. A healthy lifestyle can help a person live another 20 or 30 years. The World Health Organization had declared that 65 is still a young age. It has set new criteria that defines people under 17 as underage, 18-65 as young people, 66-79 as middle aged, 80-99 as elderly/senior. The organization also encourages people to consider food as medicine and live in a way to prevent diseases rather than finding cures. Minh believes that health is a person’s most precious asset, but one that does not receive due attention. Several cooking mistakes can put one’s health in danger: cooking food at high temperatures for too long, reusing oil or storing food for many hours can increase the risks of cancer, diabetes and cardiovascular diseases. Besides unsafe and unhygienic food, poor-quality pans also adversely affect consumers’ health. "You can only live a long life when your intestines are clean and you have a healthy diet. According to Japanese American doctor Hiromi Shinya, author of the popular book The Enzyme Factor, strong people are those who have well-functioning gastrointestinal system, and on the contrary, poor heath is often seen in people with weak intestines. A healthy person often dreams of many things: money, fame, successful career. But once you are sick in bed, you only dream of good health,” Minh said. Several years ago, Minh’s son-in-law in the U.S. told him about using a stainless pot to cook broth at his pho restaurant. After a year, the pot broke. That was the result from daily destruction by salt and acid from the broth. During the process, the eroded metal is consumed by the body. After brewing coffee and cooking food with metal, clay and ceramics pots, Minh realized the pots’ materials caused the food to taste and smell different, significantly. For long, clay pots have been favored by professional chefs because clay is not eroded by the acid and alkaline in foods cooked at high temperatures, and it does not release toxic metals. Many Vietnamese classic dishes are best prepared in clay pots. But then, clay products have certain limitations, including poor heat conductivity and tendency to crack. For 14 years, Minh was looking for a material that does not carry poisoning risks, can sustain high temperatures, and save cooking time and energy. More than 10 years ago, porcelain had returned as a global trend, with many universities and research units introducing different kinds of pots. But they were all of the kind that was not very good with heat conductivity and temperature shock. Minh traveled to different porcelain workshops. At a major company in China, he was offered the copyright to pottery pots with high heat resistance for $250,000. But they were not porcelain product. After he found the right soil, he started to work on the glaze that does not have side effects or wear off due to high temperatures, and is strong enough to protect the pot from cracking. He spent time looking for ways to increase the heat effects of the pot so that food can be cooked faster with most nutrition retained and the least poisons released. He then spent years studying how to bake the pot for right amount of time, at the right temperature and pressure. 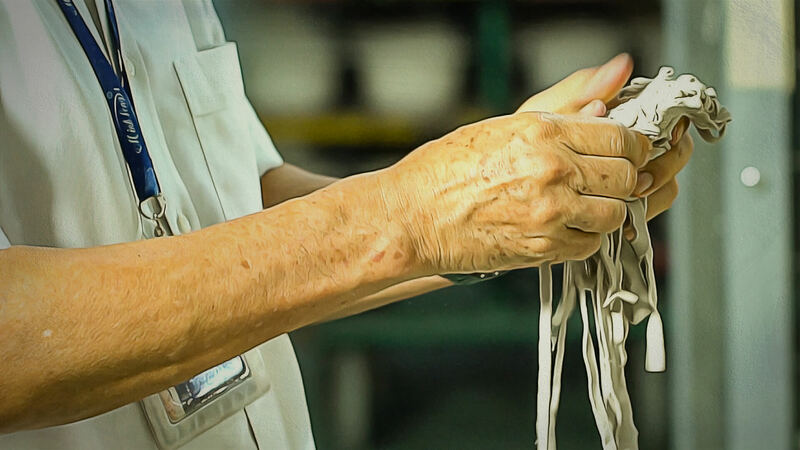 For 14 years, Minh and his team conducted thousands of tests in the lab as they looked for a material combining clay and glaze that had the desired characteristics of being light, safe and good at heating. The material had to ensure that food when fried or grilled at below 130 degrees Celsius could still be perfectly done, saving energy and reducing health risks, especially that of cancer. In April 2018, holding a porcelain pot with high thermal transmission that did not need water in the cooking process, Minh spent some time admiring it. Only he knew he’d been sleepless the previous night. Minh Long macrobiotic pots are produced mainly with kaolin, feldspar, quartz, clay and some precious minerals that Minh selected himself from within and outside Vietnam. 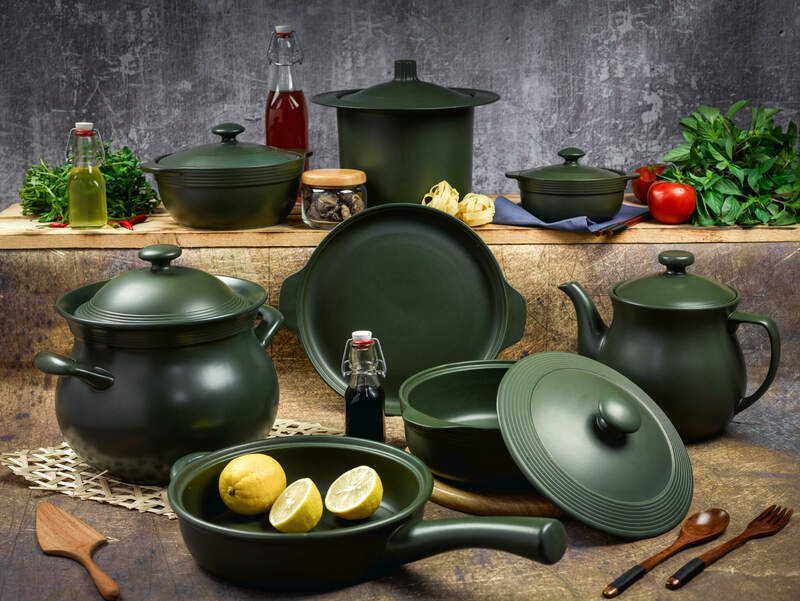 A set has a number pots and pans of different sizes and different purposes: pans, a kettle, and four macrobiotic pots with prices ranging from VND180,000 to around VND2 million apiece. Minh said macrobiotic porcelain has been researched for different kinds of ovens, from microwaves, grills to electric, gas and induction cookers. All products can sustain temperature shock from zero to 800 degrees Celsius. They can be used for all kinds of food products, meat, fish, brown rice, vegetables and roots. And most importantly, they help retain the nutrition so that the dish has a perfect natural taste. "I hope the consumers lead a healthy life, starting with eating healthy at home with macrobiotic pots which have transparent origin and verified quality. That’s the meaning of the macrobiotic pot,” said the owner of Southeast Asia’s biggest pottery company. Minh Long’s first set of macrobiotic pots are of mossy green color. A conversation with Minh’s youngest son many years ago was the starting point for the product line. Buu, then 7, asked his father if he knew how to realize clean soil. The father was puzzled, he had never thought of that. - When there are lichens, the soil is clean, dad. - The book says so, that moss is really scared of pollution, and it only lives in clean and unpolluted places. Buu spent a lot of time with science books, he loved clean places and he called mossy green the color of purity. So mossy green became the theme color of the set of porcelain pots in the line of healthy products. That’s how Minh showed his son that he loves him, just like his own mother poured her love on him with each simple meal that she cooked dozens of years ago. His family still continues to make those dishes now, but for Minh, what she made was still the best. Love is not just spoken. Love is action. To Minh, making high-end pottery is a game. If one sees that as a business, they will have to bang their heads with loss and profit calculations. But when it’s a game, one can play with all his heart and dreams to reach the highest achievement and not get stuck with the question of how much money he would make. Only when one clears money burden out of the way can he reach the final success. Minh’s family left Tan Thanh Village in 1978, when he was just a boy. Now he takes his children and grandchildren to visit the village every once in a while. 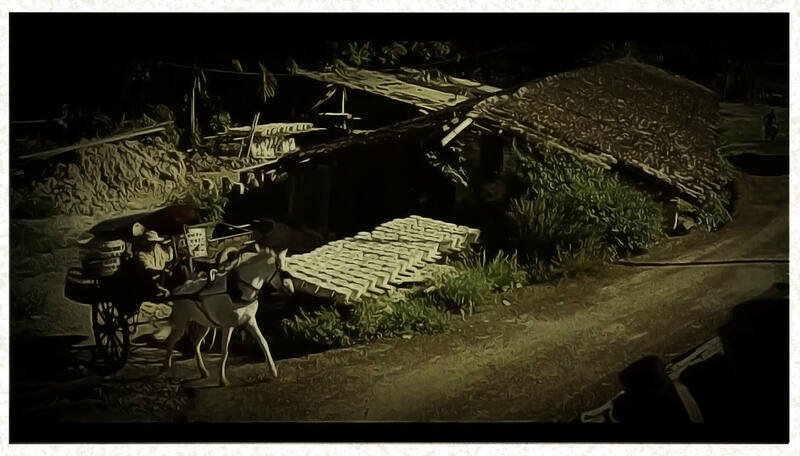 His old house is still there, the Tan Khanh Stream has become a small drain, and the whole village has become a richer, more crowded community. Manual pottery kilns exist no longer. They have been banned due to environment concerns. Minh still treasures his hard childhood in the once tiny village, where he grew up in a simple life which was full of love. He remembers the old days of being taken care of by his parents, who were the first to teach him a major life lesson: Life starts with health and health starts with how you eat. And all of us, who grow up with love, can receive healthy gifts from nature if we know how to.